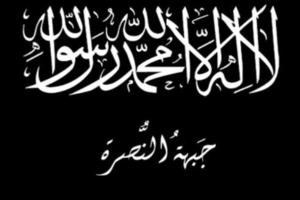 Jabhat al-Nusra is a Salafist fighting group in Syria, formed in July 2011 as the initially unofficial Syrian wing of al Qaeda in Iraq and allied with - but rejecting the perceived pro-West constraints on - the Free Syrian Army (FSA). 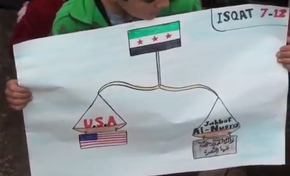 The group is also called al-Nusra Front (Arabic: جبهة النصرة لأهل الشام‎ Jabhat al-Nusra li-Ahl al-Sham, meaning: "The Support Front for the People of the Levant [Greater Syria]") and bears the flag shown at right. Generally considered one of the most effective and best-supported groups in the struggle against Syria's government (sometimes called "Syria's Best Rebel Fighters"), they became infamous for gross violations of Human Rights and were listed by the United States as a terrorist organization - in fact, as a different name for the organisation also known as Al-Qaeda in Iraq - in December 2012. More than one and a half years later on June 3, 2014, Turkey, often-accused of aiding al-Nusra, finally designated the group a terrorist organization as well. According to some reports, only two weeks later it was removed from the list of terrorist organizations again. As late as October 25, 2015, the Israeli cabinet declared the Nusra front and ISIS terrorist organisations. 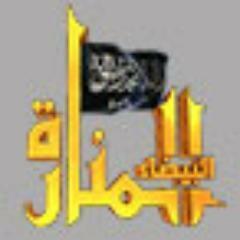 In late July 2016 the group changed its name to Jabhat Fateh al-Sham and formally split from al Qaeda. In late January 2017 it merged with other Islamist groups into Hayyat Tahrir al-Sham under unified leadership. 7.2.2 Created by the Syrian Government? A January 2013 "strategic briefing" by Noman Benotman and Roisin Blake of the anti-extremist think-tank Quilliam Foundation gives a quite detailed report of origins, goals and strategy of the organization. In February 2013 a leading Jihadi internet forum produced a "comprehensive strategy for Syria" paper in a collaborative effort which mentions Al-Nusra several times as "our brothers on the ground" and shines further light on ideology, goals and strategy. It was translated into English by Cole Bunzel of the monitoring site "Jihadica" in late February. Contrary to groups like the FSA, the fall of the Assad government is only a short-term goal for al-Nusra, while the end-goal is to establish an Islamist caliphate in all of what they call Bilad al-Sham (The Land of Sem) - not the modern Republic of Syria in its present borders - but basically the whole Levant including Jordan, Lebanon, Israel/Palestine and the present Turkish province of Hatay (ar: Iskandaroun). This caliphate would eventually encompass the whole Muslim world. Jabhat al-Nusra is against democracy on principle, claiming that it is God and not mankind, who is the supreme authority. The people in a Muslim country, for example, does not have the right to oppose the introduction of Shari'ah laws. But the organization can accept elections inside an Islamic system provided that non-Muslims do not have a say, except in their own internal affairs. The organization's problem with the Assad regime has thus nothing to do with democracy or freedom. The main problem is that this regime is secular and dominated by an apostate sect that should be put to death. The fact that Syria's population is overwhelmingly Sunni Muslim compounds this problem. al-Nusra's mother organization "The Islamic State of Iraq" (al-Qaeda in Iraq), however, have the same line although Iraq has a Sunni minority. The schism of late 2013 between Al Nusra and ISIS, which had by then developed out of "The Islamic State of Iraq", was primarily about leadership and methods, with ISIS refusing to follow orders of formal al-Qaeda head Zawahiri. "Allah knows what will happen to them. There is a difference between the basic kuffar [infidels] and those who converted from Islam. If the latter, we must punish them. Alawites are included. Even Sunnis who want democracy are kuffar as are all Shia. It’s not about who is loyal and who isn’t to the regime; it’s about their religion. Sharia says there can be no punishment of the innocent and there must be punishment of the bad; that’s what we follow." The group has been identified as involved in a number of heinous and criminal acts across Syria, with a handy partial list at the Wikipedia page. Jabhat Al-Nusra was one of the few groups to explicitly refuse recognizing UN envoy Brahimi's late October Eid Al-Adha cease-fire proposal, to which both the government and the FSA agreed. The cease-fire was shattered almost immediately by, among other things, terrorist car bombings in Damascus thought to be carried out by the Front. They have claimed responsibility for a vast majority of the car bombings, suicide and otherwise, that have been carried out so far in the Syrian war. Jabhat Al-Nusra has been especially active in and around Syria's largest city of Aleppo in the north. They documented themselves executing dozens of army soldiers there in September, 2012. They later declared a "no-fly zone" over Aleppo, threatening to shoot down commercial airliners if they felt they carried weapons. They've been blamed for the Aleppo University Attack of Jan. 15, 2013 (perhaps in part to help underscore the importance of their "no-fly zone"). They were blamed by some for the Queiq River Massacre, in which some 80 or more local men and boys were executed and found in a rebel-held stretch of the Queiq river in Aleppo in January, 2013. These are examples, and nothing like a comprehensive list. There is a widespread but not necessarily true belief that Syria's rebels turn or will turn to Islamic extremist groups like Jabhat Al-Nusra, due to a lack of Western support, a mangled "Jihad vs. McWorld" conception. The young boy in Syria seen at left, partaking in an early December demonstration in Isqat (far north), apparently understands the perceived problem (unless he didn't really make the sign). However, it's entirely conceivable, to put it mildly, for the opposition in whole to take the support of both the West and the Jihadists, and use them together for an end more in line with the goals of one side or the other. All the talk of balance might be nothing more than a clever opposition playing supporters off against each other to accelerate a competition of support they can reap profitably on both ends. The State Department confirmed earlier accusations that Jabhat Al-Nusra was a direct offshoot of Al Qaeda in Iraq. One of its more prominent members killed in fighting in January, 2013, was claimed by Jordanian Salafists as a brother-in-law of Abu Musab Al-Zarqawi, AQI's onetime leader. “There is nothing wrong with fighting in the name of Islam,” said the coalition leader, Ahmed Moaz al-Khatib, a moderate imam, in his speech to assembled ministers and diplomats. He requested the Americans to reconsider their decision. Turkish officials reportedly complained on January 17 that the front should not have been declared terrorists until after the war was over. This ironic set of statements came as the Turks planned another enabled border-crossing at Ras Al-Ayn, with Al-Nusrah jihadists driving tanks into the Kurdish town once again on the 18th, , and at the same time Turkey arrested 15 prominent lawyers and human rights activists under counter-terrorism laws, allegedly as part of a crackdown on some leftist group. The relationship between JaN and the ostensibly rival sectarian-Salafist group Islamic State/ISIS/Daesh - disowned even by al-Qaeda - is complex and not covered much here yet. Soon after its appearance, by November 2013, Daesh was picking fights with JaN and they fought, as if to clarify the point that they were not allies. But consider that on many other occasions, they have freely cooperated in offensives including, for example, the one that yielded the August 2013 Latakia Massacres (some Islamist FSA brigades were also involved there). Whatever the true relation, it's important how the world and its leaders see the relationship. In some ways, the alarming rise of ISIS sharpened awareness of the general problem of extremist groups proliferating amidst the regime-change campaign. But in the long run, the emergence of this brutal faction with alarming successes has made it, to a large extent, so that any group can be seen as acceptable just by not being ISIS. At the end of July, 2015, the U.S.-trained and supported anti-ISIS "Syrian insurgent group" Division 30 - the one famously comprising about 60 members - came under attack by Jabhat al-Nusra instead, just days after entering Syria. First they captured the group's leader and another commander plus six soldiers, then launched a military assault on them that required US airstrikes to cover their retreat. No rebels came to their aid. The Times reports current and former senior administration officials considered it "a significant intelligence failure." The accepted sponsorship theory being, like any terrorist organization, Jabhat al-Nusra gets its support from ideologically-aligned private donors and volunteers, and other non-state sources. Presumptively, no responsible government on the face of the Earth would openly embrace an official branch of al Qaeda. So, the "alternate" sponsorship theories will be mainly or totally accusations that certain governments or blocs of them are in fact consciously behind the group or at least its curious success. The basic evidence is that Al-Nusra Front, other Al Qaeda and other Salafist Sunni groups and rigades in Syria, are working against the secular Syrian state. In this they are directly supported, most people understand, by elites from the Persian Gulf monarchies, Erdogan's Islamist Turkish government, at one time by Morsi's in Egypt, and by Libya's post-Gaddafi non-government. Despite being listed technically as terrorists by the United States, it and its allies indirectly support al-Nusra in Syria in various ways, including allowing its aforementioned allies to continue their support. But as awareness increased of how obnoxious the group is, the mouthpieces of the groups' supporters often turned to alternate theiories in which the terrorists are supported by or even created by the Syrian government and its allies, pretty much to make the opposition look bad, it seems. And no one was able stop them from looking bad, the plan was so clever. Daily Star, Feb. 8 2014 Iran assisting Al-Qaeda operations in Syria: U.S.
“The Iran-based Al-Qaeda network has also leveraged an extensive network of Kuwaiti jihadist donors to send money to Syria via Turkey,” the Treasury added. Business Insider, February 1: Why Is (sic) Iran Letting A Top al Qaeda Operative Pump Fighters And Cash Into Syria? Al-Jazeera video report, picture of Mr. Suri (wanted, $10 million reward), and speculation that Iranian Major General Qassem Suleimani "is personally handling Iran's extensive contributions to the Assad regime and has allowed al Qaeda operatives a degree of freedom in Iran since several arrived after 9/11." But the writer, Michael Kelly, acknowledges "[The] reported arrangement is puzzling, given Iran's staunch backing of the regime of Syrian President Bashar al-Assad." "Yasin al-Suri" is a pseudonym for Ezedin Abdel Aziz Khalil (Wikipedia). Al-Suri, as with Abu Musab al-Suri, seems to mean "the Syrian," as Al-Libi means "the Libyan." Thus, the two prominent al-Suri men are presumably unrelated, and look nothing alike. This one, the Wikipedia article says, has had his reward bumped up to $10 million (becoming one of only three global suspects in that category). It cites a State Dept. briefing as the source for Iran's denial of the "completely baseless" reports that Al-Suri is working with them or is even in Iran. But it's impossible to prove a negative like that, so true or not, if Treasury keeps saying it, it will remain widely accepted as true or, at least, eminently credible. Created by the Syrian Government? Any attempt at identifying al-Nusra Front with the revolution is supported by the way facts on the grounds are pushed to that direction. The regime has always been doing that so that it could establish al-Nusra as the only available alternative in case the Syrians decide to demand change. Today the facts that are being revealed prove that the Syrian regime has to be toppled as soon as possible. Among those facts is the way the regime used al-Nusra and similar groups in its conflict with the Syrian people in the 1970s and 1980s as well as in its regional wars, especially with militant networks in Iraq, throughout the past decade. Now it is back to the same strategy through creating of al-Nusra the only opposition faction. Add to this the return of the militants previously sent to Iraq to fight the Syrian regime together with other fighters from Iraq and other countries. The model of al-Nusra has always served the Syrian regime’s ends and which always revolve around stripping the conflict of its political dimension. An awful lot of people who seem opposed to the government (regime) have been suckered, if Mr. Al-Amin is the slightest bit correct. All other evidence suggests he is not. One background claim that will play into these accusations is the widely-believed claim that Bashar Assad's government had supported al Qaeda in Iraq when it was fighting American troops, and similar claims that came in especially over the years 2007-2009. The ranks of Al Qaeda have been fattened in the past three years, once again with Saudi recruits. More than 1,000 Saudis are currently training in a Qaeda camp in Syria, which itself is the subject of contentious negotiations between Saudi Arabia and the Syrians, who still refuse to arrest them or shut down the camp. Young Saudi men are also training in Al Qaeda camps in Pakistan, Afghanistan, and Iran. Baghdad, 7 Dec. (AKI) - Former al-Qaeda leader Abu Musab al-Zarqawi (photo) was approached by Syrian intelligence services to collaborate with them before he was killed in Iraq, according to a former al-Qaeda operative. "The late al-Qaeda leader in Iraq, Abu Musab al-Zarqawi, rejected a collaboration offer advanced by Syrian secret services," said Shahada Jawhar, former head of terrorist training for al-Qaeda. Jawhar revealed the collaboration offer and other details of the internal operations of al-Qaeda in Iraq, in an interview with TV network, al-Arabiya, to be telecast on Friday night. "The secret services sent a mediator who met Zarqawi in 2006 outlining the possibility of obtaining any kind of help, but Zarqawi rejected the offer because he didn't want to fight the Americans for the political interests of Syria," he said. Jawhar said Zarqawi wanted only to defend Jihad, while the Syrians wanted to put pressure on the Americans and avoid opening a new front in the war in their country. Abu Musab al-Suri had been held in Syria for six years after being captured by the CIA in 2005 and transported to the country of his birth under its controversial extraordinary rendition programme. But he is now said to have been released as a warning to the US and Britain about the consequences of turning their backs on President al-Assad’s regime as it tries to contain the uprising in the country. Al-Suri, also known as Mustafa Setmariam Nasar, was al-Qaeda’s operations chief in Europe and has been accused of planning the London bombings, in which four British-born terrorists detonated three bombs on the Underground and another on a bus, killing 52 people and injuring more than 700 others in 2005. In a move that has never been officially confirmed, the Americans then reportedly turned him over to Syria where he had been held for the past six years in the Aleppo prison, on its border with Turkey. Quoting local sources, Syrian opposition website Sooryoon.net revealed al-Suri’s release last week. It said: “The timing of his release raises a lot of questions and observers believe the release may indicate the regime is stopping security co-operation with the Americans and thus releasing all those Washington considers a threat to its interests.” So it's not even certain he ever was handed over to Syria, but presuming he was, reports say he was free by then, on government order. But that's not proven either. And even if it was so, and could be, is this something they decided on just as a "warning," or perhaps as part of some prisoner swap with rebel forces? Those were at the time taking civilians prisoner in drioves in the city of Homs. In fact just as this report came out, 138 apparent male prisoners were killed by rebels in the Khalidiya Massacre. That's a little late to explain this particular release as, say, a prompt (the women and younger children go next, unless...). But it seems likely that stiff negotiations of some type were going on in those particular days. A war with two sides has been unleashed there, and while one side can be imagined to support and use al Qaeda, the other side to some extent is al Qaeda, and this move managed to free a prominent one of their own. These basic allegations were "confirmed" in July 2012 by a defecting ambassador, Nawaf Fares. CNN, July 15: Ex-Syrian ambassador calls for foreign military intervention, tells the whole truth and nothing but to justify it. Right? That is, virtually every force on the battlefield will need to overcome by something that, obviously, doesn't exist yet. And it's had three years to try and exist. As for ISIS' behavior, there are much simpler explanations that do not require resort to conspiracy. One need only look at its name to see what its agenda is and the problems therein: Islamic State. ISIS does not merely consider itself a group (jamaat) or faction (faseel). It believes foremost in the setting up of an Islamic state as the basis for a Caliphate that should encompass the entire world. Abdulmuhassan Abdullah Ibrahim al-Sharj (AKA Sanafi al-Nasr ), wanted Saudi AQ affiliate and recruiter who moved with the group to Syria from the Afghanistan-Pakistan area. Abdullah Suleiman Salih al-Dhabah, (AKA Abu Ali al-Qasimi),Saudi national, on Saudi Arabia's list of most-wanted AQ members, , waged jihad in Pakistan and Afghanistan before going to Syria, arriving as early as 2011. Killed in the city of al-Bab in Aleppo by a rocket from a MiG plane, SITE said, citing online messages posted by Islamists on Jan. 18. On September 28, Glenn Greenwald and Murtaza Hussain observed in a deconstruction of media reports about the group that "once it served its purpose of justifying the start of the bombing campaign in Syria, the Khorasan narrative simply evaporated as quickly as it materialized." It later surfaced that a main target of those strikes has been a French agent "highly trained in Western intelligence trade-craft and explosives" who defected to the Nusra Front. Apparently the man survived the attacks. In an Al Jazeera interview in May 2015, Al-Nusra leader Golani said that while there are fighters from Khorasan (a historical name for a region of Central Asia including most of modern Afghanistan) in his organization, there is no such thing as a "Khorasan group" which has only been an invented pretext for the bombing campaign. According to the Pentagon the alleged head of the group has been killed by an air strike in Aleppo countryside in mid-October 2015. 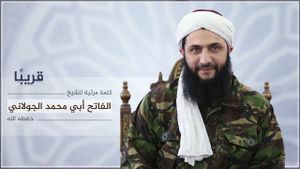 On July 28, 2016, Nusra Front leader al-Jolani announced in his first public appearance that his organization will split from al-Qaeda and change their name to Jabhat Fateh al-Sham, the Levant Liberation Front. On the same day, al-Qaeda leader Zawahiri released an audio message in which he gave his blessings to the split if useful for the unity of Islamist fighters in Syria. The changes will not affect the designation of the group as a terrorist organization, according to statements released by both Russia and the US. Around Aug. 1, 2016, one of Syria's al-Nusra Front commanders appears on CNN to tell why the group has changed its name and split off from al Qaeda - video . The video has since disappeared, but is on CNN website after a commercial. In this Orient News video (English captions), in the first 7 minutes they state what are they up to; appear to present themselves as similar to any other group and limit themselves to Syria. Published on Jul 28, 2016, and contains the first sighting of the leader. Following infighting in Idlib province, in late January 2017 JFS merged with some other groups like the notorious Noureddine Al-Zenki into Hayyat Tahrir al-Sham, while their opponents consolidated under the banner of Ahrar Al-Sham. According to sources, displaying an image with some US State Department announcement in Arabic (example), 'US declared the morphed group a terrorist organization' on March 11, 2017. In early May 2017, the State Department told Canadian media that the March statement was a mistake, has been corrected to "al Nusra Front" and that HTS is, while closely affiliated, not a designated terrorist organization. US State Department official list has al-Nusra (ANF), does not have Hayyat Tahrir al-Sham (HTS), as seen on the web on May 15, 2017. There is a reward for the leader, with reward text (May 10, 2017) stating that he remains the leader of ANF. By late Summer 2017, after HTS won a "civil war" against Ahrar Al-Sham with many defections to them following, the Russians estimate the manpower of HTS at around 15,000, the majority of 9,000 of them in the Idlib pocket. Jabhat Fateh al-Sham’s income and resources Christiaan Triebert and Rao Kumar, Hate Speech International, August 15, 2016. This gives some details on "key income flows, including taxation and tariffs, spoils of war, ransoms, donations, oil, looting and asset seizure, and sieges and smuggling" - what JaN/JFS taxes and charges people for, where they seized the most weapons, how much they've collected in ransom money (many millions, mostly paid by Qatar), etc. ↑ "An interview with Jabhat al-Nusra", Economist (May 23rd 2013). Retrieved on August 13, 2013. This page was last edited on 1 May 2018, at 10:57.